From humble beginnings deeply rooted in family and a small trucking business, ACX has grown to become a leading supplier of forage and roughage products from the Western USA to the world. 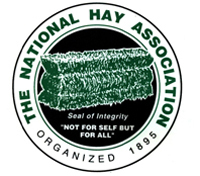 The ACX way, or "The Green Way" is about honest, long-term relationships with hay growers. We strive to provide the support needed to ensure a successful harvest and movement of hay to market to help farmers maximize returns. Please enter your username and password for Grower STACX. You may contact us for username and password help. ACX buys all grades of export quality hay and straw in 3-tie and big bales including 3x3, 3x4, and 4x4. Products include Alfalfa, Timothy, Sudan, Oat, Rye, Fescue, Blue, Klein, Bent, Bermuda, and more. For three generations, ACX has worked hard to develop this robust global supply chain. Our intention is to keep adding value for our US growers who supply forage and roughage to our overseas customers for ages to come.